The Wonderful Wizard of Oz is a children's novel written by L. Frank Baum. 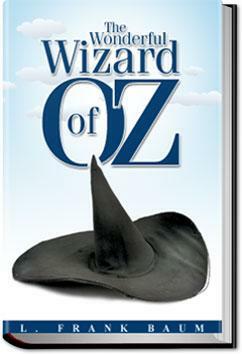 It has since been reprinted numerous times, most often under the name The Wizard of Oz, which is the name of both the stage play and the extremely popular, highly acclaimed film version. Thanks in part to the movie, it is one of the best-known stories in American popular culture and has been widely translated. Its initial success, and the success of the popular Broadway musical Baum adapted from his story, led to Baum's writing thirteen more Oz books. . . .I might have stood there always if you had not come along," he said; "so you have certainly saved my life. How did you happen to be here?"